NOTE: This is a used item, it is untested and sold as seen. The battery seems to have life left in it though may need replacing in the future. 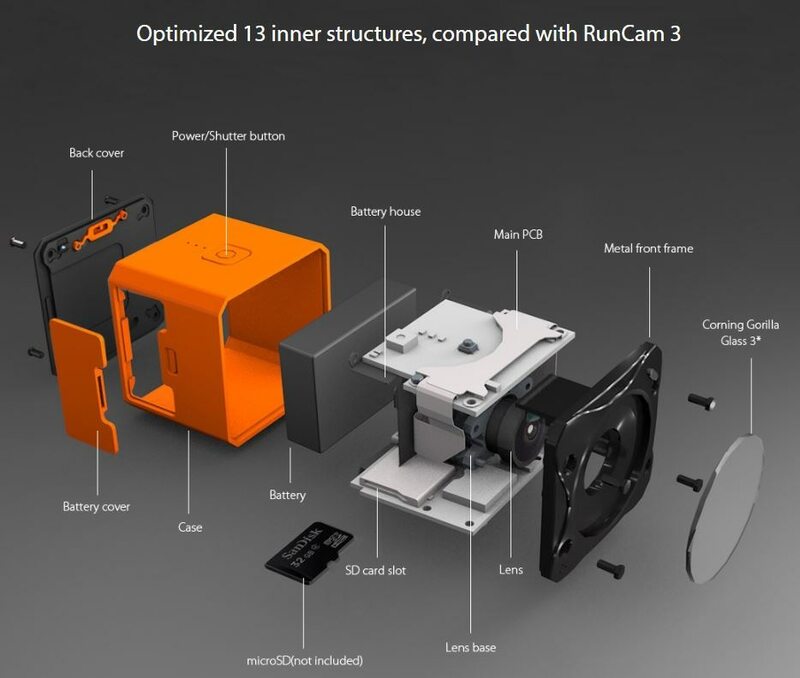 The Runcam 3S is a GoPro session form factor action camera. 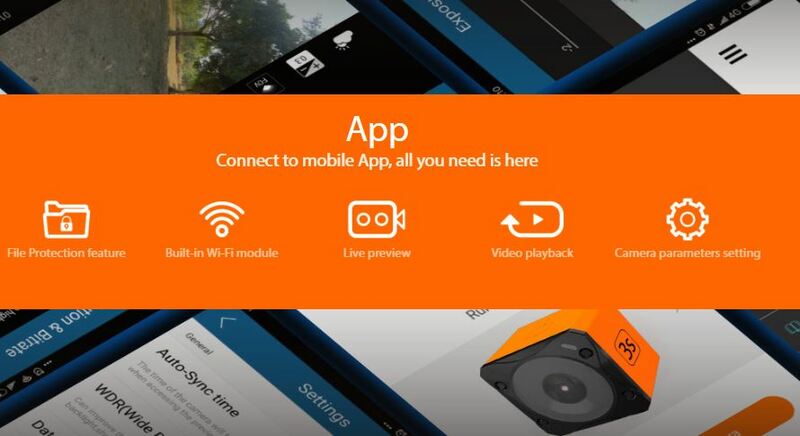 It is designed primarily for FPV pilots to record crisp 1080p video to share with the world. To withstand the abuse any FPV pilot would give it the lens is designed with gorilla glass 3 to provide adequite protection. 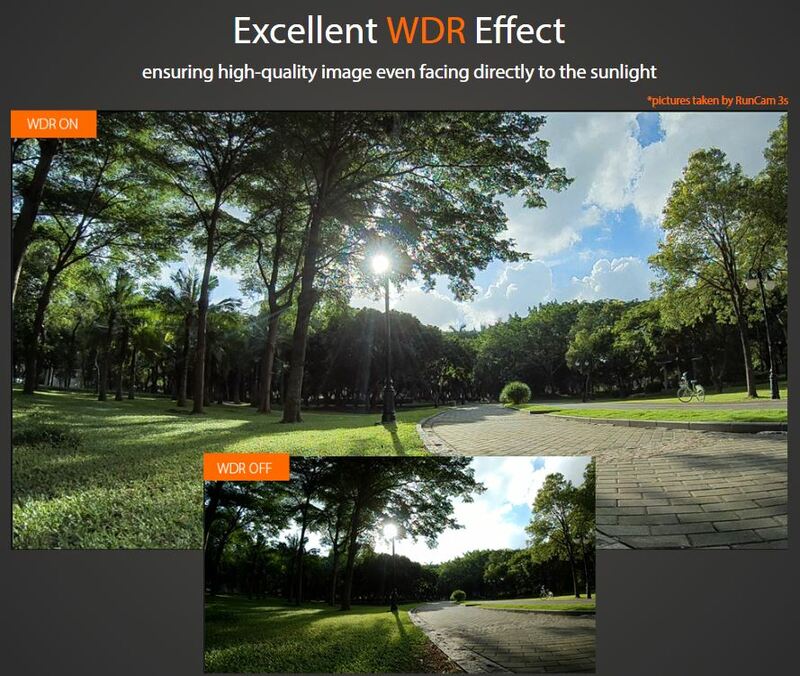 The wide dynamic range is provides you with high quality footage no matter where you are flying. 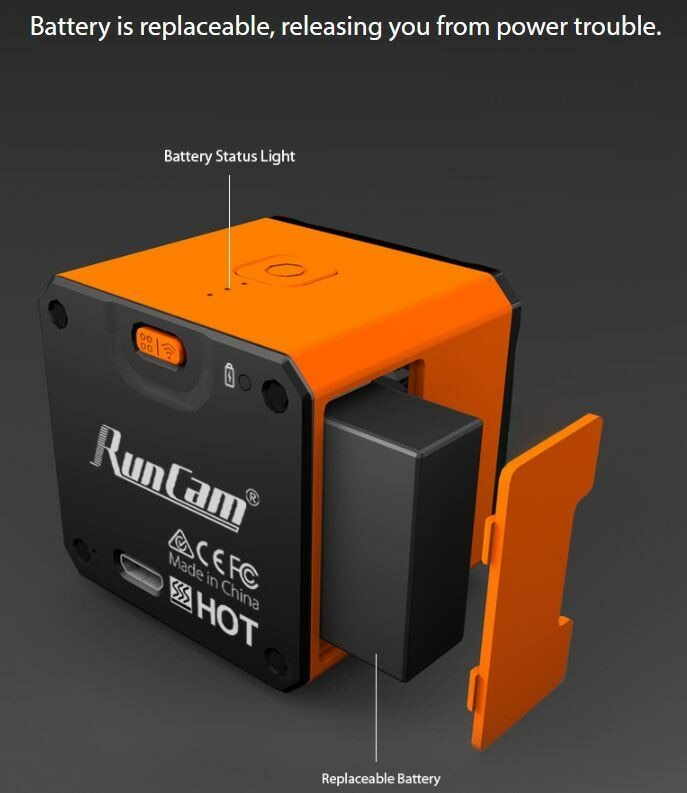 The Runcam 3S is also more modular allowing you to replace the battery, and other parts if you manage to break something. 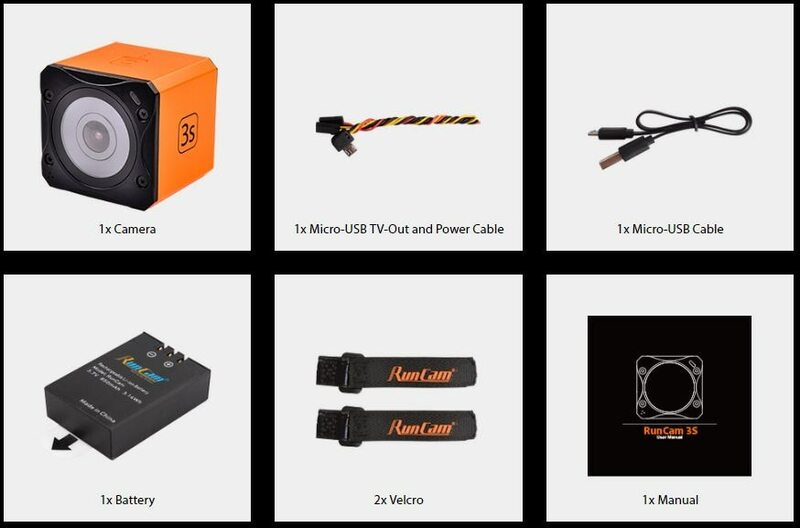 Just like all the other runcam action cameras the integrated Wifi and app let you view your footage, and change camera settings to your hearts content.